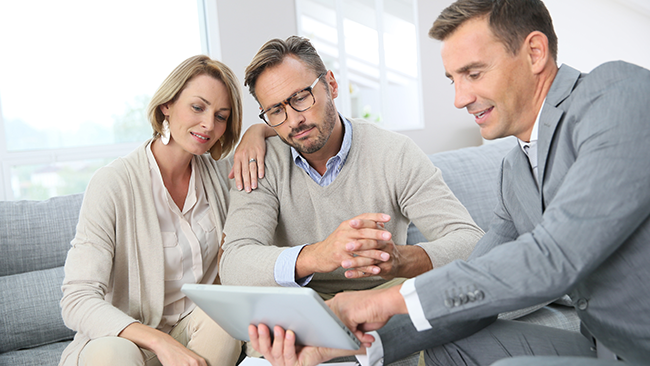 Whether your clients file their taxes with the assistance of an online preparation service or by working with you or a tax professional, they may have been advised to contribute to a qualified plan like an IRA in order to minimize their previous year’s taxes. Where clients have allocated their resources may increase their taxes in retirement and contribute to determining their Required Minimum Distributions (RMDs). It seems each year clients scramble to get their taxes done while searching for ways to reduce their previous year’s federal income tax. It seems like good advice: Save money for retirement, and save taxes. But are they really saving money on taxes by contributing to a qualified plan? While they do receive a deduction on their previous year’s taxes, where do they go? Do they vanish forever, or will they come back to impact your clients later? Contrary to what many of your clients may believe, those taxes aren’t being saved; they’re being deferred. They are actually kicking the can down the road to another day and time. They can receive a deduction on a small contribution. Those taxes are deferred until your clients withdrawal their contributions for later use in retirement. Hopefully by then the money has grown to a larger sum over time through investing. The deferment of taxes means lost revenue for the federal government today. Therefore they’re only willing to let people defer liability for so long. Eventually, people must make distributions. These required distributions from qualified plans are known as Required Minimum Distributions, or RMDs. RMD rules apply to certain retirement plans, including traditional IRAs, SEP IRAs, SIMPLE IRAs, 401(k) plans. The rules determining when people must begin taking RMDs vary depending on the type of tax-qualified plan. For the purposes of this article we’ll focus on traditional individual retirement arrangements better known as IRAs, but the general rules discussed can apply to other qualified plans, except Roth IRAs which do not require withdrawals be made while the original owner is still alive. RMDs are the minimum withdrawal required, not the maximum that must be withdrawn from your IRA each year. RMDs are calculated by dividing the distribution period associated with your age into the December 31 value of your IRA. For most, required minimum distributions will begin the year clients reach age 70 1/2. However, it is possible that clients must take a required minimum distribution prior to age 70 1/2 if they are the beneficiary of an inherited IRA or Roth IRA (RMD rules do apply to Roth IRAs after the original owner has passed). The distribution period at age 70 ½ is 27.4. It’s a divisor, not a percentage of account value. The RMD is determined by dividing the distribution period into the previous year’s December 31st account value. If the December 31st value of your client's IRA were $100,000 their RMD would be $3,649.64 (100,000 / 27.4 = 3,649.635). If your clients own multiple IRA accounts, they are permitted to combine all of the account values together to determine their RMDs, and then they are allowed to take the RMD strategically from one or more account. They are not required to take an equal portion RMD from each account. This method provides some flexibility when it comes to determining which savings and investments to liquidate, and which to hold when making a RMD for any specific year. However, RMDs from 401(k)s or other employer sponsored retirement plans must be calculated and withdrawn from each individual account. There’s a steep penalty for failure to comply with RMD rules. Missing an RMD deadline results in a 50% additional penalty. In other words, your clients will still have to take their required withdrawal, but will pay a 50% additional tax on the distribution. They’ll have to give half of their distributions to the federal government for making a relatively simple accounting error. Therefore it is critical that they do not fail to make their required minimum distributions. Distributions from IRAs are taxed as regular income. Treated as regular income, large RMDs could bump your clients into the next highest marginal tax bracket. This may cause their next taxable dollar to be taxed at a higher rate. Controlling taxes throughout retirement can be a challenge for many retirees, and RMDs can compound the problem. By age 70 1/2, anyone who is eligible for Social Security benefits should be receiving them, as there is no benefit to delaying beyond age 70. RMDs treated as regular income are added to Provisional Income, which is the calculation used to determine whether someone pays taxes on Social Security benefits. Large RMDs may increase the portion of Social Security benefits that are subject to taxation at the next marginal highest tax bracket. So What May Be Done About It? I suggest that you encourage your clients to work with a CPA or Tax Attorney. Your clients should consider working with someone who looks forward to the future when advising clients on taxes, instead of only looking backwards to determine how to “save” taxes for the last year. If you are not a tax CPA or Tax Attorney, you can partner with one in your area. This would allow you to recommend your clients to each other to help develop complete financial strategies for your clients' retirements. For more information on technical details pertaining to taxation on qualified retirement plans, visit the IRS website. Partners Advantage takes great pride in elevating and innovating the insurance industry, with our primary goal of bringing ongoing value to our distribution partners. With that in mind, we're pleased to announce that Partners Advantage has been acquired by Arthur J. Gallagher & Company - a leading risk management and employee benefits consulting firm. Click below to watch an OnDemand webinar to learn more. This blog is designed to provide general information on the subjects covered. It is not, however, intended to provide specific legal or tax advice and cannot be used to avoid tax penalties or to promote, market, or recommend any tax plan or arrangement. Please note that Partners Advantage, it’s affiliated companies, and their representatives and employees do not give legal or tax advice. You are encouraged to consult your tax advisor or attorney.